Sicoma has been building concrete mixers for over 60 years and is seen as a world leader in mixers, which are known the world over for their advanced design features and superior performance in several applications, including the Concrete Industry and Industrial Plants (waste treatment, chemical industry, glass industry). All Sicoma mixers can be equipped with accessories as per the application requirements, and customized with attachments to achieve the desired productivity, mixing quality and life expectancy. Sicoma Mixers India is a 100% subsidiary of Sicoma srl, Italy. 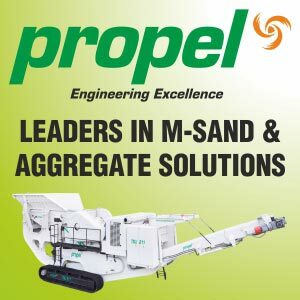 The company is seeing increasing demand for its Planetary and Twin Shaft Mixers etc, with the increased activity in the infrastructure development sector. The new and bigger facility in Tumkur will assemble and manufacture Mixers with materials sourced locally and as per the stringent quality standards, while critical components will be imported from Italy. Luca Galletti, MD, Sicoma Group and Prashanth Kumar, Executive Director, Sicoma India, discuss the Indian market with NBM&CW, on the side-lines of the opening of the company’s new manufacturing factory on the outskirts of Tumkur, Bangalore, and the reason why localisation of manufacturing is a key factor in the company’s success in India. What advantages does localisation bring to Sicoma's customers? Luca Galletti: Without compromising on quality, we have tried to keep our Italian/European quality standards in the Indian market. We have been able to lower costs by taking the benefit of lower cost of manpower in India. Our quality of material is the same as that of our Italian mixers. For example, we use only special alloy steel imported from Italy for producing the shafts. Our 3.0M3 and above capacity Mixers will be imported from Italy under CKD condition, and mixers below that will be produced in India. Prashanth Kumar: Critical parts such as gear boxes, hydraulic power packs, greasing systems, shaft and sealing group, which constitute about 35% of Mixers, are imported from Italy and the remaining 65% are from India (locally sourced or manufactured). This brings huge benefits to our customers in terms of overall pricing and after-sales support, as parts are readily available in India and they do not have to wait for delivery of shipments from Italy, leading to delays. Plus, we have a specialised support team for selection of materials and part and maintenance guidance since our technical skills are readily available in India. A major impact of localisation is that the end-price is lower than similar products from Italy. So, customers can buy our world-class products at very competitive rates. What are the benefits to OEMs? Luca Galletti: OEMs can now rely on Sicoma's vast experience of producing superior quality products and made in India products at competitive prices. The main advantage is that Sicoma can guarantee a wide range of applications along with a wide range of accessories as options that can be added to a standard Mixer. One of the biggest advantages is that delivery periods have shrunk by 80% or even more. In fact, Sicoma India is greatly responsible for bringing down plant delivery periods by OEMs as we can deliver mixers from our ready stock or within one week's time. This holds true for mixers made in India and also for mixers supplied from Italy. This is because we have a very smart three-level stocking plan: one level in Italy, one in India and one in production, so we ensure that our customers get the products on time. Prashanth Kumar: Indian users can opt for Italian-make of Mixers as well, however, the quality of India made Mixers is exactly the same. We have trained our manufacturing people to use jigs, apply proper manufacturing procedures, look for high-quality local Indian suppliers, use proper tools to check the quality during the manufacturing process, etc. We can say with confidence that this new Indian factory is a very good copy of our Italian factory, and we will start production here very shortly. Luca Galletti: We may also consider making this factory an export hub for countries in the Indian sub-continent and for countries like Central Africa, which are looking for low-cost Mixers and plants, but with high quality. In fact, our products can reach any place in the world. We have established manufacturing facilities in Italy, China and India to cater to the entire world with the same high-quality Mixers. Our OEMs include big names like Aquarius, KYB-Conmat, Apollo, Schwing Stetter etc. Prashanth Kumar: Our main R&D center is in Italy, but we do some R&D in India as well and give a lot of feedback to Italy. From our experience in India we collate the data and provide the solutions from Italy along with trained Indian technicians. Are you bringing in any changes in the Mixers to suit Indian jobsite conditions? Luca Galletti: The working conditions are different In India, so we do some changes/customisation for more adaptability to the rigorous usage in India. Our machines are all robust, but in Europe, the aggregates are different, plus, there is proper and regular maintenance by the end-users. In India, Mixers' usage is higher; they run 20-24 hours every day, so maintenance is, therefore, less. We try to compensate by applying certain kind of devices/procedures to increase the usage of the machines in India. Sicoma has been building Concrete Mixers for over 60 years and is perceived as a world leader for its concrete mixing products with their advanced design features and for their application in diverse fields besides the Concrete Industry, such as industrial plants (waste treatment, chemical industry, glass industry). Prashanth Kumar: Depending on the type of application, all Mixers can be equipped with several accessories and customized with many add-ons in order to achieve specific productivity, mixing quality and life expectancy. What kind of after-sales support is Sicoma providing? Prashanth Kumar: After-sales support is one of our main strengths. We have a well-stocked warehouse for parts in Bangalore and in Gujarat. We can also retrofit our Mixers on existing OEM plants. There are many Sicoma Mixers working for 15-20 years and they come to us for re-conditioning. We will be opening more parts warehouses in India. As regards the scope in India for Sicoma products, our customers opine that Sicoma offers better support than its competitors, in terms of range, delivery periods, after sales service etc. So we seem to be on the right path. Luca Galletti: We are serving the Indian and Chinese markets directly with all possible support and local availability of spare parts. In China, we have more than 30 warehouses and in India we will be opening more warehouses, which will bring us closer to our customers. In our view, no other manufacturer is serving the markets in such a large way. A big chunk of our business is coming from China and in India too we are growing pretty fast at 30%, and India is the third largest market for us at the moment. What growth potential do you see in the concrete market of India? Prashanth Kumar: The concrete market in India is definitely booming with infrastructure being planned across all sectors from railways to bridges, high-speed trains to increasing port connectivity etc. Apart from these large projects, there are numerous small projects for kerbing, concrete blocks, manhole covers, paving etc, all of which use precast products, for which our Planetary Mixers are most suitable and for which there will be good demand. Our country will see infrastructure development continuing over many years to come. Luca Galletti: 11 years ago, when we came to India, no one knew the Mixers, especially the Planetary and the Twin Shaft Mixers. Year after year, we have pushed a lot on imparting knowledge of compulsory Mixers and the difference between our Mixer versus others available in the market. Now, with Sicoma, the market has completely understood why the Planetary and the Twin Shaft Mixers are so superior.